TFNA is a system designed to solve a wide range of unmet needs for surgeons, OR staff and administrators. More than five years in the making, this system offers advancement in hip fracture treatment, including outcomes-based design, reduced procedural complexity, and comprehensive surgical options. It incorporates the best elements of our highly successful global hip nails (TFN, PFNA, and PFNA II), optimized through input from hundreds of surgeons around the world. 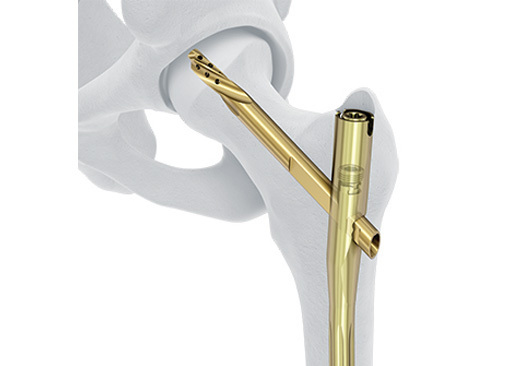 TFN-ADVANCED™ Proximal Femoral Nailing System truly is a global platform that delivers modern innovation. TFNA é um sistema projetado resolver uma escala larga de necessidades unmet para cirurgiões, OU equipe de funcionários e administradores.